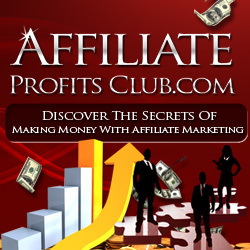 If there’s one thing you need more of online as an affiliate, it’s time. There are so many tasks you have to complete when you’re promoting other people’s products, like creating content, traffic generation, and more. Anywhere that you can shave off some time and retain the quality of your business efforts is beneficial. Private Label Rights (PLR) content can help you do just that – assuming you find a reputable seller. PLR is an affordable alternative to hiring a ghostwriter. While a ghostwriter charges anywhere from $10 to $30 and up, PLR content is typically priced cheap – about $1 per page (more if the packs are limited by the number of buyers). There are many different types of PLR that you can buy in terms of usage. You can buy articles, blog posts, email autoresponders, eBooks, reports and more. You can place your affiliate hyperlinks in them and use the content to help you generate commissions online! Make sure you check the terms of usage for your PLR content that you buy. Everyone has different rules. Some will let you break up the content (like breaking up an eBook into dozens of blog posts) and some won’t. Some have rules about where you can use it and some don’t. Typically, the rules aren’t so rigid, but you just need to check before you buy. Once you buy PLR, you’ll want to unzip the files and put them to use right away. Don’t get in the habit of buying a lot of PLR and never allowing it to get online where it can work to help you earn commissions. Start by editing the content as much as you want to. The more you edit, the better it will be because it will have your own voice on it. You can change the title of the work, put your name on it, and edit it line by line if you want to. The great thing about PLR is that you can repurpose it again and again! You could take an eBook, for example, and turn it into several short reports, dozens of blog posts or articles, and even put them into an email autoresponder.